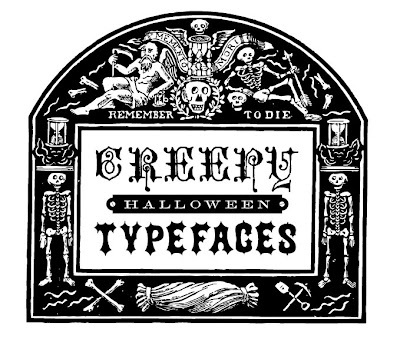 Enjoy these great old typefaces (old fonts) and illustration from my collection of rare books. 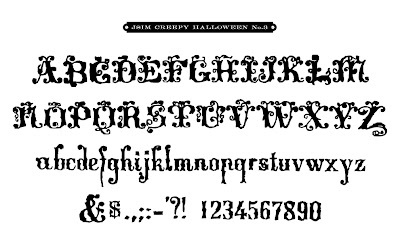 Go make something scary for Halloween! Click on any to enlarge and save. 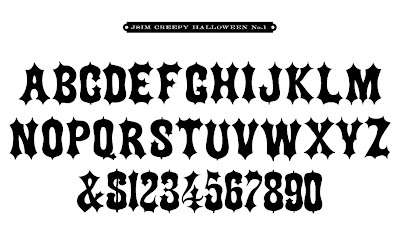 This entry was posted in Uncategorized and tagged antique fonts, Free digital downloads, free vintage clip-art, halloween costumes, homemade Halloween, Three Word Thursday, Vintage Typefaces. Bookmark the permalink. These are great Cathe – but one question – how do you use these? – sorry I'm a craft dummy! LOL – do you have to cut and paste? Yeah, copy, cut and paste, the old fashioned way. Trace, photocopy, whatever. Hey…I was just thinking about you, I'll email you in a sec. Fabulous! 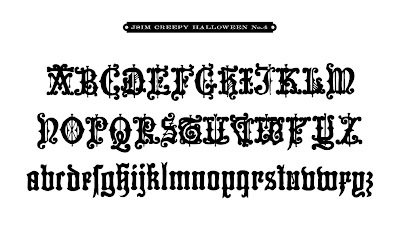 I can't wait to make something creepy! Thanks! These are wonderful – thank you!! Love …. Love … Love them!!! 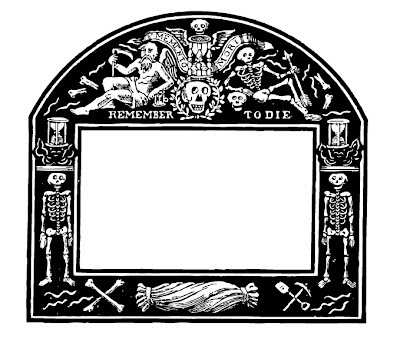 i lurve that tombstone/frame! so great. thanks for sharing :). Thank you for sharing! Love these! This is gorgeous! thank you so much!!!! I have an entire file on my hard drive filled with your generous offerings! It's true! I love the stationary you made, GREAT idea!!! Thank you. Thank you so much! Just found you from my friend Linda's suggestion. I Love skellies, many thanks for sharing so many wonderful images! When I’m not writing my novels, I like to write personal books for my grandchildren, and fun cards, etc. for friends, and love your site. Thanks for your hard work and creative inspiration. Oh these are marvelous! I’ve been redecorating kitchen goodies for my sundries and then some. Thank you so much! Just love your creative collection. it would be super fantastic if we could download the font, but nope. Gonna have to eyeball and wing it. awesome! thank u! 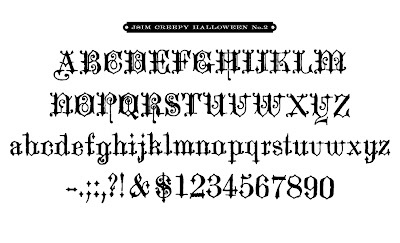 its a amazing font!